Brass wires are used for modern wire EDM machines and come with various advantages. First of all, they are perfect for all machines with high-speed, precision functions, as well as being long-lasting and made from quality materials. They are easy to use and give your product a better finish. They are practical and affordable, very high quality, and save considerable energy which lowers business costs. 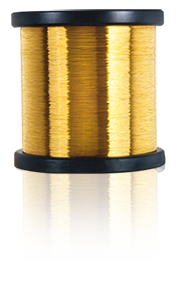 At Rivadossi Trafilerie you will find a vast range of brass EDM wires, with detailed product data sheets containing helpful information such as straightness, performance and spooling. You can read descriptions of our extensive range online or download the PDF data sheets. Get an online quote based on the type of product you need, or based on the spool size, weight and diameter.